Action: Choose a hero. Until the end of the phase, the chosen hero does not exhaust to attack or defend. Valour Action: Choose a player. 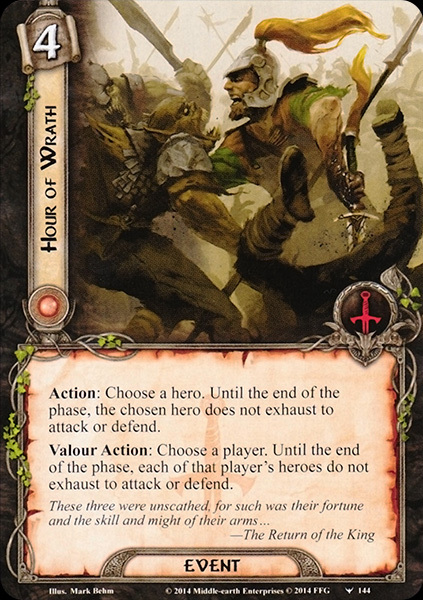 Until the end of the phase, each of that player's heroes do not exhaust to attack or defend.